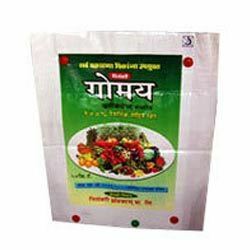 These bags can also be utilized foe secondary packing of smaller 1 kg bags. We are pleased to introduce ourselves as one of the leading Manufacturer/Trending Unit at Kachigam, Daman (U.T.). We are having every type of satisfied customers, we are supplying PP/HDPE Woven Bags & Sacks, Sand Bags, Valve Bags, Sand HM & LDPE Bags, Agro Shed Net, Green Net, HDPE/PP Woven Sacks/Fabric & HM & LDPE Liners to various type of industries, besides this we are having a better manufacturing facilities handled by skilled manpower, so you will find better consistency in our final product. We are having a better Marketing department who are always ready on their toes to give up their services to the Customers. Sir, if given a chance to serve with your reputed Concern, we assure that we’ll live no stone unturned up to the mark of your satisfaction.